The Aspen mini lime silent + condensate pump kit contains all the necessary items to easily install a condensate pump to remove condensate water from a wall mounted indoor unit. 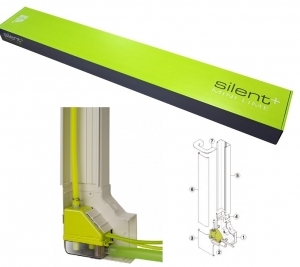 The trunking kit makes the installation of the pump far easier than normal condensate pumps, as the pump and reservoir itself is built into the trunking elbow. These latest model mini lime pumps are silent running and now include an anti-siphoning device. Full details on the Aspen Mini Lime Silent + condensate pump can be found in the downloadable brochure below.